For thousands of years mankind has used the multiple talents of the canine to benefit and serve humanity. Through rigorous training, dogs have been trained to sniff out bombs/explosives, illegal drugs, cancers, prison cell contraband (such as cell phones), missing people, human remains, rodents and much more. Dogs play an important and intricate role in today’s world well beyond the beloved family companion. Why hire a K9 Bed Bug team? • Dogs search with their nose and not their eyes. It is difficult for humans to visually see Bed Bugs hiding in cracks and crevasses. K9s can sniff them out. • No need to dismantle your furniture to search for Bed Bugs. 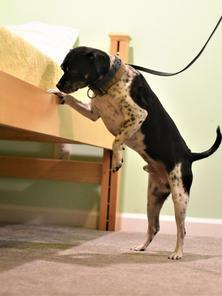 • K9s can pinpoint the location of hiding Bed Bugs. Potentially saving the customer money when determining the type of treatment needed for the eradication of Bed Bugs. 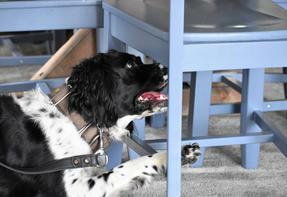 • K9s search quicker and with more accuracy and more efficiency than human visual inspections. • K9’s can detect a small infestation that may go undetected by human visual inspection until it becomes a large infestation. • Other things may be biting you. 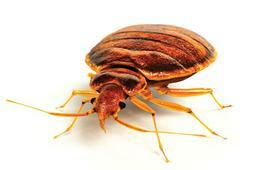 Rule out or confirm the presence of Live Bed Bugs. • K9s have no financial interest in selling you a treatment plan. K9’s only interest is finding live Bed Bugs so he/she can get paid in dog treats. 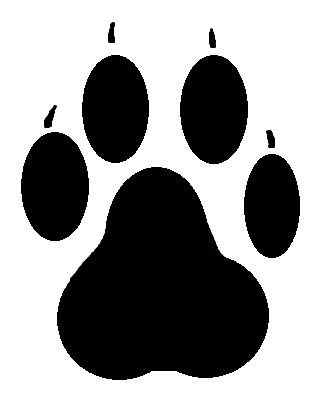 • Elite K9 is not a pest control company. Our only goal to help determine if you have Bed Bugs or not. • Cost effective and gives you peace of mind for a good night's sleep. All efforts will be made for a quick response.